A question on Spirit Day: How can we, as a community, put an end to bullying? 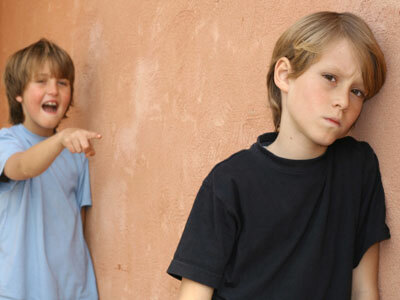 Thirteen million young Americans will be bullied in school this year alone. Three million kids will skip school, each and every month, because they feel unsafe. Our communities are filled with young people whose dreams and futures are being crushed by the devastating impact of emotional and physical torment. Bullying. A national crisis that demands fierce and urgent action. In response, we all must work together to reach those young people who are victims of this crisis, and those who can stand up and make a positive difference in their lives. October marks both National Bullying Prevention and LGBT History months; a time when we are all called to action to speak out against bullying and show support foryoung people. Perceived difference often triggers bullying incidents, and thus the bullying crisis powerfully impacts LGBT young people. Eight out of 10 LGBT young people experience harassment while at school, according to GLSEN; with nearly 65% of those kids also reporting that they feel unsafe there. And often, even for kids who aren’t LGBT, gay slurs are the first line of attack. Many of these kids are too embarrassed or ashamed to report the harassment they undergo. The struggle of gay youth in America is an important part of the film Bully. Since premiering at the 2011 Tribeca Film Festival, Bully has sparked a national conversation about bullying, and whole communities have come together to engage in meaningful dialogue about solutions. The Bully Project, the social movement inspired by the film, launched the “1 Million Kids” campaign, which has engaged and empowered more then 200,000 students and 7,500 educators in 122 American cities through screenings of Bully within an educational framework. The film looks at five families on the front lines against bullying. Among them is the story of 16-year-old Tuttle, Okla., student Kelby, whose battle—an echo of so many like her—is navigating her small hometown as an openly gay teen. At one point, Kelby recounts how she was run-down by a minivan in a shocking act of anti-gay violence. Kelby also reveals she’s attempted suicide three times. Kelby’s heart and bravery in the face of such trauma is a lodestar for all, inspiring us to seize the moment, guiding us to create real change that stops bullying in its tracks. Today, The Bully Project—the film’s social action campaign—will join GLAAD and millions of others for Spirit Day, a day of action to support thebullying prevention movement in North America. Alongside celebrities, TV shows, companies, schools, and individuals, the groups will wear purple on October 19 in a stunning visual display of support for gay youth and in a show of solidarity against bullying. Kids across the country will emerge to a sea of purple on Spirit Day, surrounded by the support of teachers, parents, peers, and even strangers – millions of whom will quite literally be wearing messages of acceptance. That day, countlessyoung people won’t have to wonder who’s on their side; they’ll simply see it. They’ll know that their community will stand beside them. Though small it may seem, Spirit Day makes an impact in a big way. And, it comes at a time when stories like Kelby’s are all too common. We must all take part in this urgent mission to create schools and communitieswhere respect and empathy are championed, where every child can thrive.